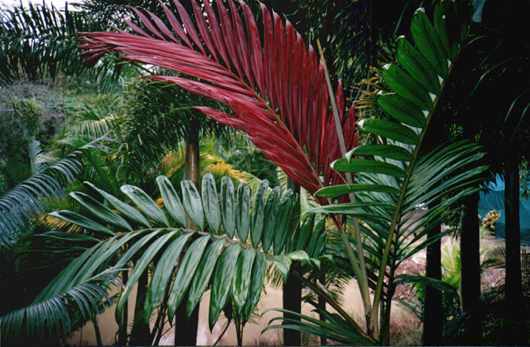 Description: -This very striking palm should have a place in every good garden from the tropics to warm temperate. From 0.C to 35.C. This form has a bright red new leaf with purple leaf nodes the crownshaft is yellowish. The fronds have a lovely arching form to add even more character to this spectacular palm. Growing Climate: -Will grow very well in Sydney and Melbourne. Likes most soil types and will grow well with thick mulch around them.